Be sure to find a special spot in your home for this distinctive wood cross. 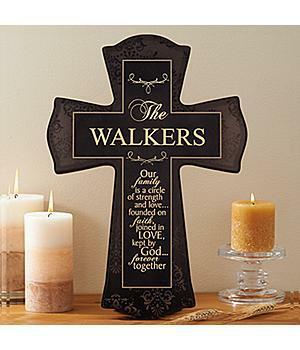 A joyful tribute to God and family, it has a graceful silhouette that will add interest to any wall. We laser engrave your family name, up to 15 characters.